Richmond, Indiana is quite a surprise. With the Model T musuem, picturesque twisty streets it is quite picturesque. 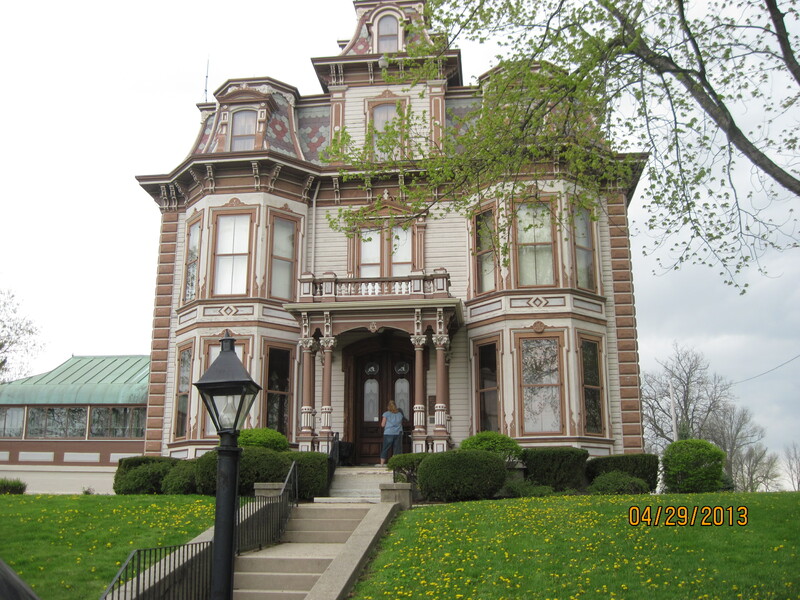 Outside of town, on a hill, tmy friend Rose and I came upon the beautiful Gaar Mansion. Built by Abram and Agnes Gaar, the home is where the family famous for steam engines and threshing machines put down roots. Besides the house the outlying buildings also offer an array of farm items which includes a steam engine and threshing machine. I found this to be a great stop and enjoyed the history of this wonderful houme! We had a tour by Sarah Gaar Bradley who entwined family history with the standard tour. Besides being famous for the Gaar machinery, her family is also part of the Joseph Hill Rose Co. as well. So much history, such a cool place! The garden and pool can also be rented for weddings and events. For more information, call 765-966-1262 or log onto www.waynet.org/nonprofit/gaar_mansion.htm.